The Cyclades group comprises some hundreds of islands and islets of which 33 are inhabited. These form one of the most attractive groups of islands to be found anywhere in the world, with some 200 easily accessible beaches and countless more secluded and more difficult to get to. As they are small and closely grouped, the Cyclades are ideal for an island-hopping holiday under bright sunshine and azure waters. 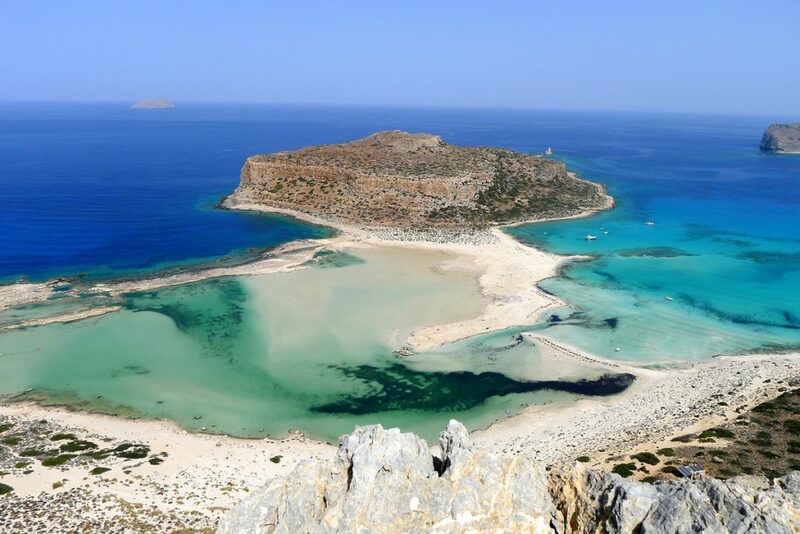 Their name derives from the ancient Greek belief that they were laid in a circle around the sacred island of Delos, where Apollo and Artemis were born. 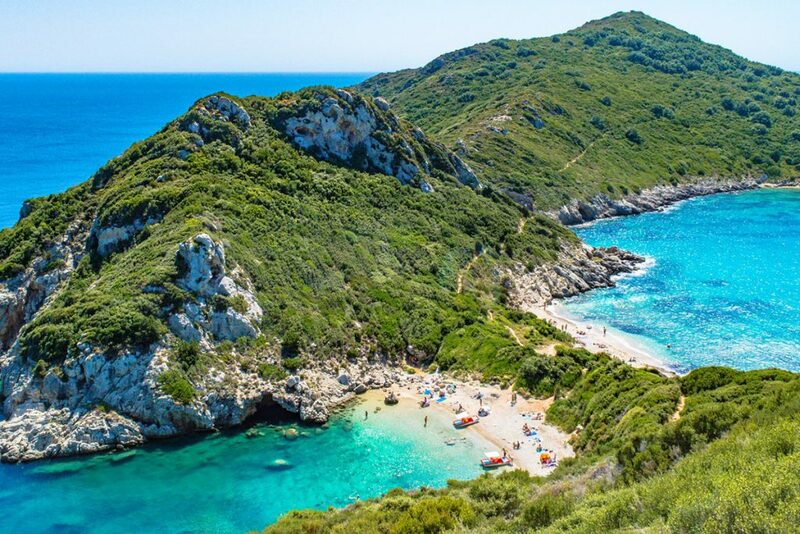 The first inhabitants according to Greek mythology settled here in 5000 BC, while Phoenicians colonists, who arrive and settled here around 3000BC, signaled the impressive Cycladic civilization. The famous Cycladic marble status were sculptured during the Early Cycladic period, 3000-2000 BC, when people here lived in houses, built boats and mined obsidian and exported it throughout the Mediterranean. The Minoans occupied the islands in the Middle Cycladic period, 2000-1500 BC, and the Mycenaeans around the 15th century, at the beginning of the Late Cycladic period. Cyclades became very prosperous after the arrival of the Romans in 190 BC. Their decline begun with the arrival of the Franks, who gave the islands to Venice. Then came the Turks, in 1453, which virtually opened the doors of Cyclades to pirates. In an effort to disorientate attackers, the local architecture devised the labyrinthine town-planning with narrow streets, which is the main feature in most towns. The islands were revived by the tourism boom that begun in 1970s, after the world discovered their natural beauty, with their dazzling white buildings and bright-blue church domes, unusual landscapes, mild and pleasant climate with long periods of sunshine and strong winds to keep down the heat, sandy beaches, caves, traditional customs and architecture. 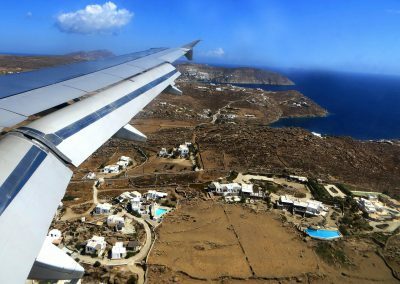 Some of the Cyclades, such as Mykonos, Santorini, Paros and Ios, have vigorously developed into tourist industry; others, such as Andros, Tinos, Kea, Kythnos, Serifos and Sifnos, are visited less frequently by foreigners but are favourites with local holidaymakers. 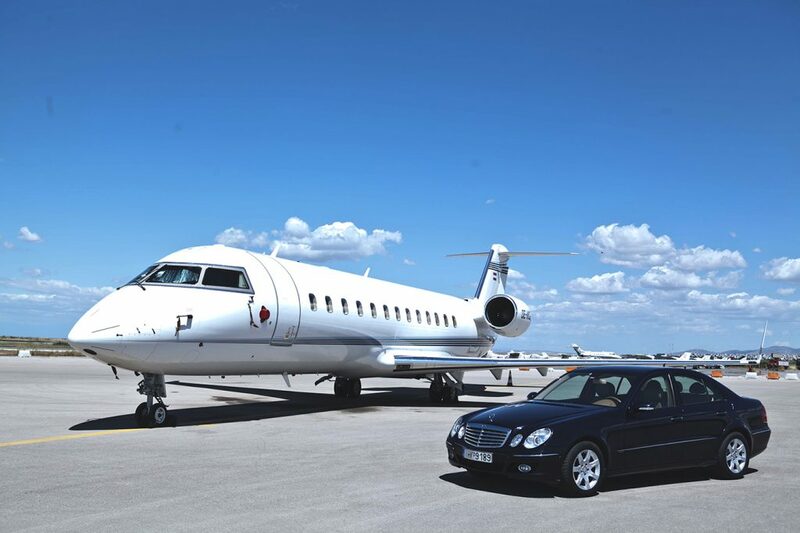 All of islands are easily accessible by boat from Piraeus and Rafina, while some can be reached by air, with both domestic and charter flights from Europe. The islands of the Cyclades, with their whitewashed houses drenched by the Greek sun, are the country’s most beautiful ornaments, placed at the centre of the Aegean Sea. They derive their name from being said to “circle” the island of Delos birthplace of Apollo. 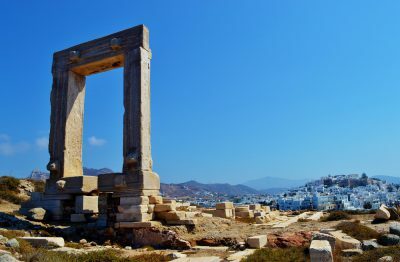 Around Delos are situated three of the best-known Greek islands, Mykonos, Syros and Paros, while further south stands the stunning volcanic island of Santorini or Thira. 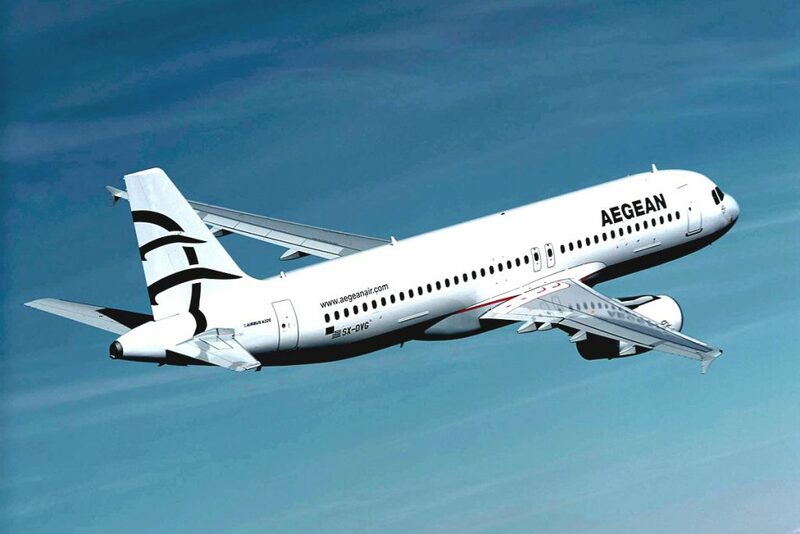 All four of the aforementioned islands have airports serviced by domestic flights from Athens and Thessaloniki, while Mykonos and Santorini receive during the summer frequent direct flights from abroad. 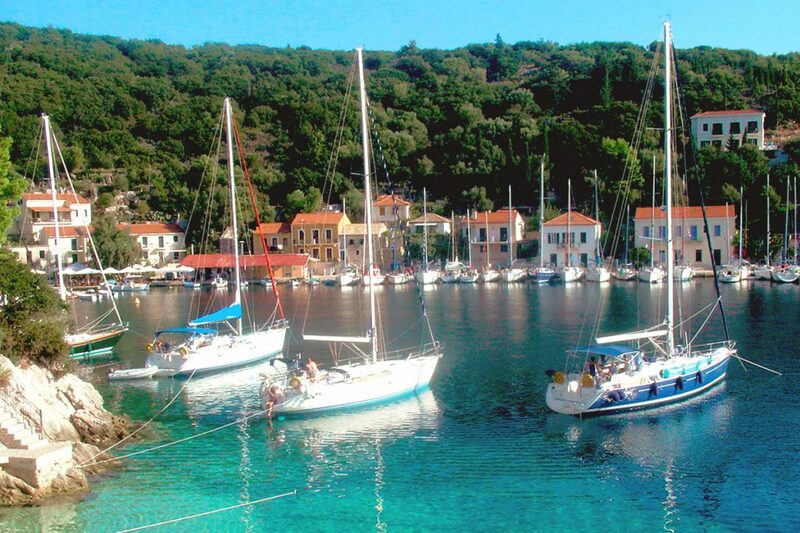 Being a justifiably popular group of islands, they form the backbone of the Greek ferry system in the region. 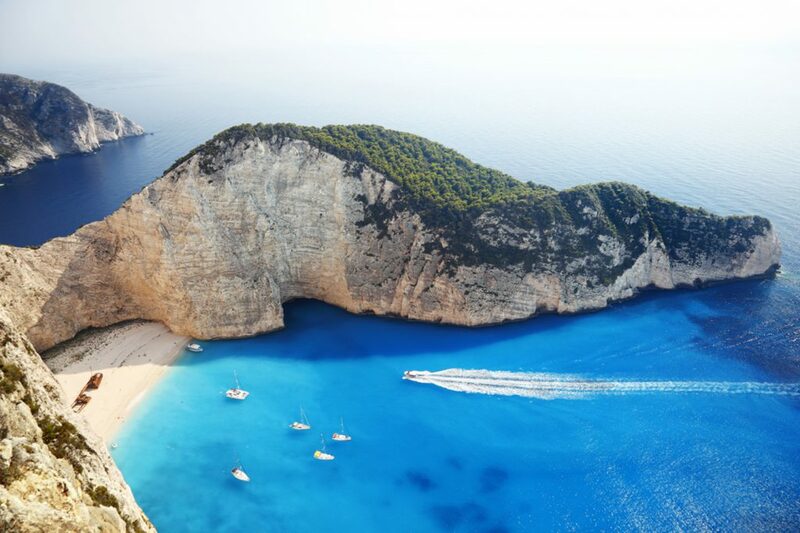 High season connections with fast modern ships and hydrofoils from Piraeus and Rafina, are so frequent that many visitors have embraced the habit of “island hopping”, in order to get the best of each island and enrich their collection of images from Greece. 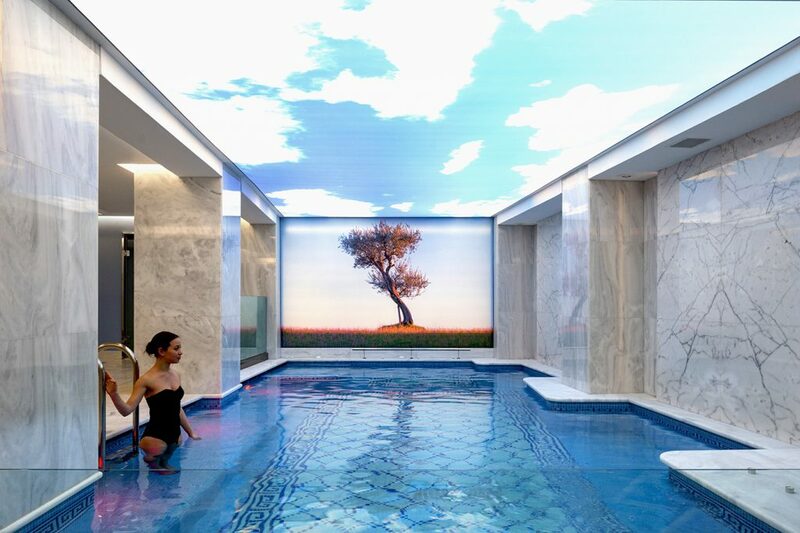 One of the most significant civilisations that ever flourished in Greece has its roots in the Cycladic isles. Signs of the Clycladic civilisation date back to 3000 years BC. The famous Cycladic marble statues were sculptured during the so-called Early Cycladic period, 3000-2000 BC, when people here lived in houses, built boats and mined obsidian and exported it throughout the Mediterranean. The Minoans occupied the islands in the Middle Cycladic period, 2000-1500 BC, followed by the Mycenaeans around the 15th century, at the beginning of the Late Cycladic period. Cyclades had become very prosperous after the arrival of the Romans in 190 BC, but the inability of the Byzantines to protect them from pirate raids signalled their decline. When Constantinople fell to the Franks in 1204, the Cycladic isles passed to the sovereignty of the Venetians, followed by the creation of the Duchy of Naxos, along with smaller baronies and counties – protectorates of West European states. 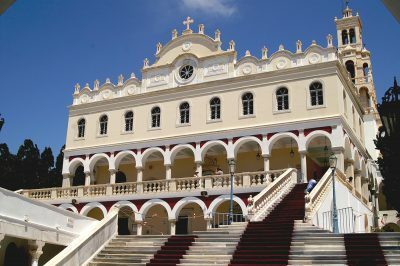 During the long-lasting Western occupation, many islanders accepted Catholicism and even today large Catholic communities enrich the culture of these islands. Starting from 1453, Turkish occupation came sooner or later to all the islands of the archipelago. The constant struggle between western states and the Ottoman power for supremacy in the region favoured the roaming pirate fleets. In an effort to disorientate attackers, the local architecture devised the labyrinthine town planning with narrow streets, which is the main feature in most towns. The islands were revived by the tourism boom that begun in 1970s, after the world “discovered” their natural beauty, with their dazzling white buildings and bright-blue church domes, unusual landscapes, mild and pleasant climate with long periods of sunshine and strong winds to keep down the heat, sandy beaches, caves, traditional customs and architecture. 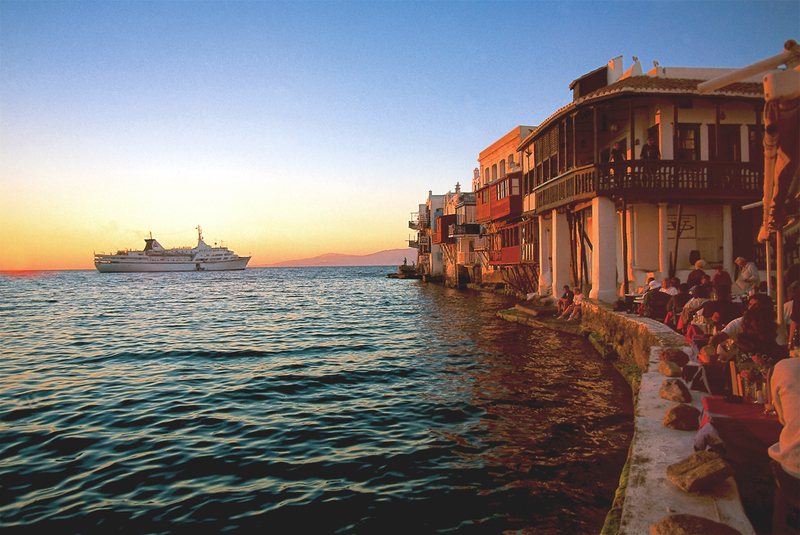 The whole of the Cyclades is one vast tourist attraction, offering memorable scenes in its every little corner. That said, we could start describing a few of the conventional sights from Ermoupolis (city of Hermes) in the island of Syros. Near the waterfront of this 19th century commercial and naval centre, is the impressive Miaoulis Square. Adorned with statue of the Greek hero of the war of independence, after which it is named and a bandstand, it acquires a cosmopolitan air once evening falls. To the west side of the town hall, which dominates the square, is the Syros Archaeological Museum, housing significant exhibits from other Cycladic isles, courtesy of being the capital of Cyclades. The island of Mykonos lacks archeological or historical sites, but Mykonos Town (Hora) offers plenty by way of compensation. A row of houses known as “Little Venice”, with their multicolored wooden balconies hanging over the sea, provide one of the town’s picture-postcard views. 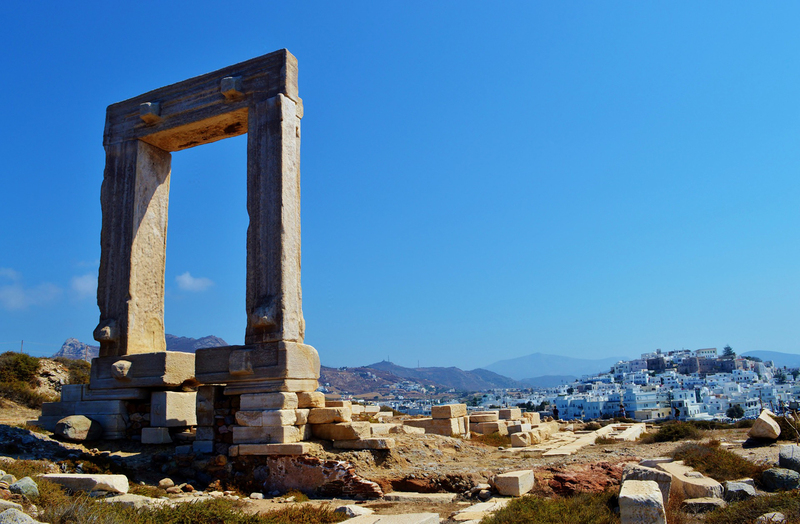 The town has an Archeological Museum, hosting finds from the islet of Rinia, the burial grounds of Delos. The beautiful Windmill Museum, a Maritime Museum and a Folklore Museum, all contribute in presenting the various aspects of life and culture in Mykonos during the past few centuries. From Mykonos, it is easy to explore the nearby sacred island of Delos, with excursion boats running day trips to this, today uninhabited, island. 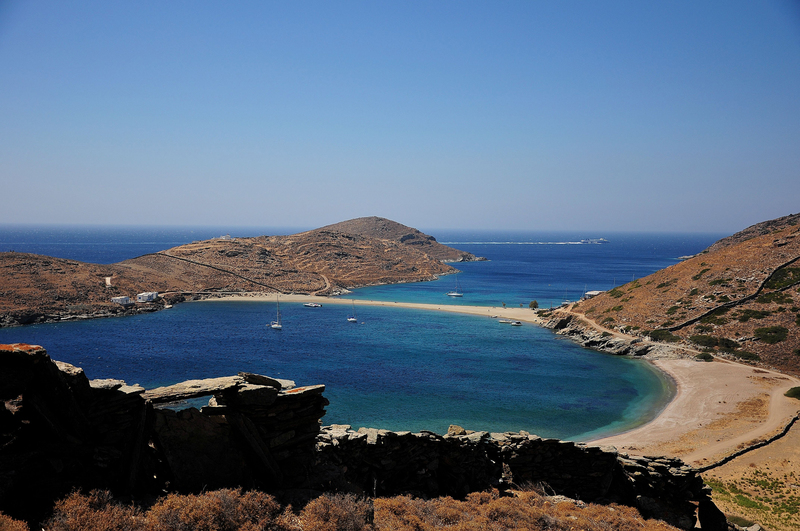 South of Mykonos island, the port-town Parikia offers the main attractions of Paros. The town has a remarkable architectural monument: the 6th century AD cathedral church of “Ekatontapylliani” (meaning Our Lady of 100 doors) for the building is supposed to have had as many. Tradition claims that the architect of the church was Isidoros of Miletus, one of the architects responsible for the construction of the wondrous Agia Sofia in Constantinople. The oldest part of the church is built on Roman ruins. Much of them have been uncovered and displayed along with other exhibits, in the town’s Archaeological Museum, which is situated behind the church. 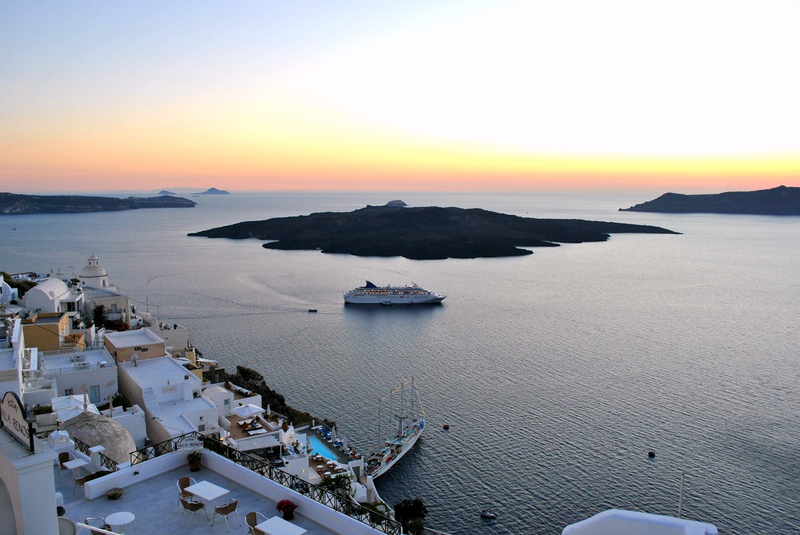 In its own right a unique destination, Santorini is a pole of attraction for tourists, historians, geologists, archaeologists, and people who wish to witness one of our planet’s most significant geological phenomena – but still a rare natural beauty with one of the prettiest sunsets in the Mediterranean, especially from the town of Oia. Striking Oia is also famous for its passageways, which get crowded in the evenings, and has several commercial galleries, as well as a maritime museum. The capital, Fira, is built on the edge of the volcano caldera and offers spectacular views of the cliffs with their multicoloured strata of lava and pumice. In addition to Fira and Oia, there are three major sights the Minoan town of Akrotiri, the Helenistic town, known as ancient Thira and the caldera Volcano Islands, the land that is still being created by the volcanic activity. 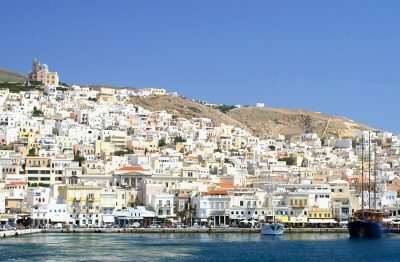 Even though each island shares similarities to the other Cycladic islands, each one retains its own character and charm. Their inhabitants, hospitable and simple, live harmoniously with and have adapted to the idiosyncrasies of nature. Myconians and Parians, in spite of the thousands of partying tourists on their isles, have managed to preserve their traditional customs. It seems that man’s eccentricities are swept away by the strong winds that blow over the Aegean. In Santorini, the inhabitants bear in mind the legacy of Atlantis (said to be situated on their island) and respect the might of nature, building for ages their inimitable anti-earthquake, barrel-vaulted houses in accordance with the landscape, regardless of pressure by tourism. 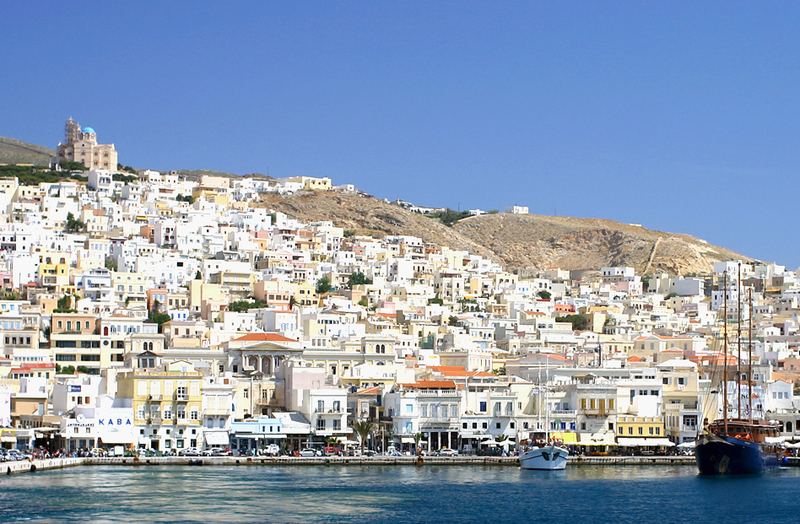 Syros, in contrast, is probably the sole island in the group whose economy does not depend on tourism. 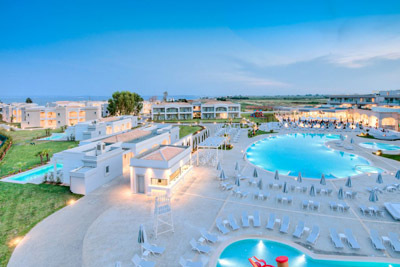 It has a highly developed ship-building industry now reviving after a decline in recent years, textile factories, dairy farms and a horticultural industry supplying the rest of the Cyclades with fruit and vegetables. Since the antiquity the wines of the Cycladic isles were highly esteemed. 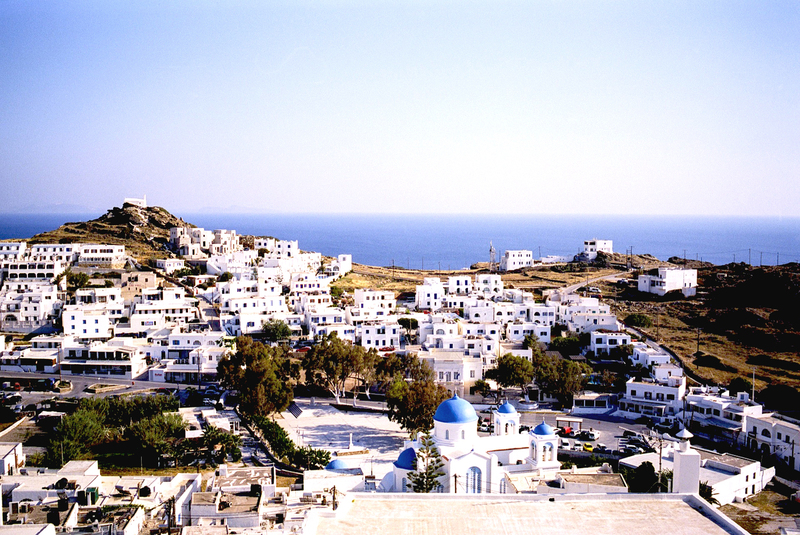 Santorini and Paros have uniquely flavoured wines, enjoying today a widespread recognition, and constituting a significant source of income for these islands. The new and old traditional wineries represent a valuable incentive for trips combining wine-tasting and business. Local food specialties include the spicy white cheese of Mykonos called “kopanisti” and the Santorini fried tomato ball with cheese. 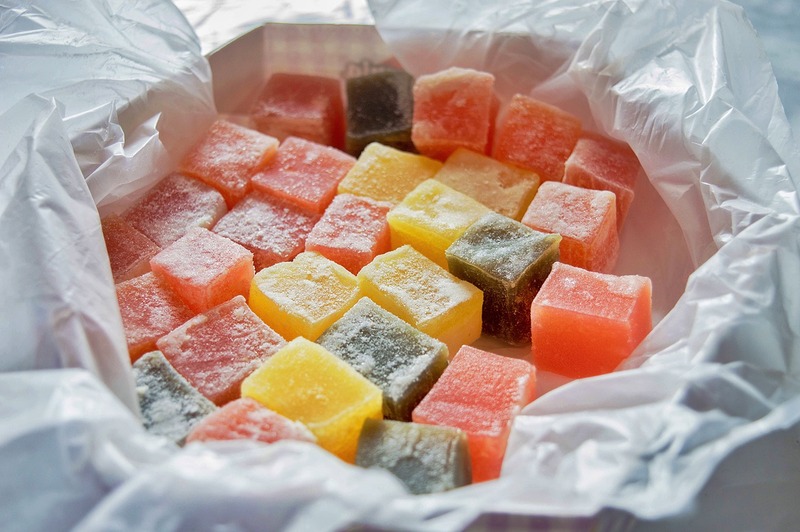 The crushed almond and marzipan confectionaries called “amygdalota”, are popular all over the Cyclades, while Syros is famed for its traditional Turkish delights, known in Greece as “loukoumia”. In Mykonos the district of Lakka, which includes the harbour and the narrow alleys in the town centre, comprises a unique commercial centre in the whole of Greece, featuring some of the most famous brands in the world. With many folk shops and expensive boutiques, this shopping centre has acquired world fame for its goldsmiths. 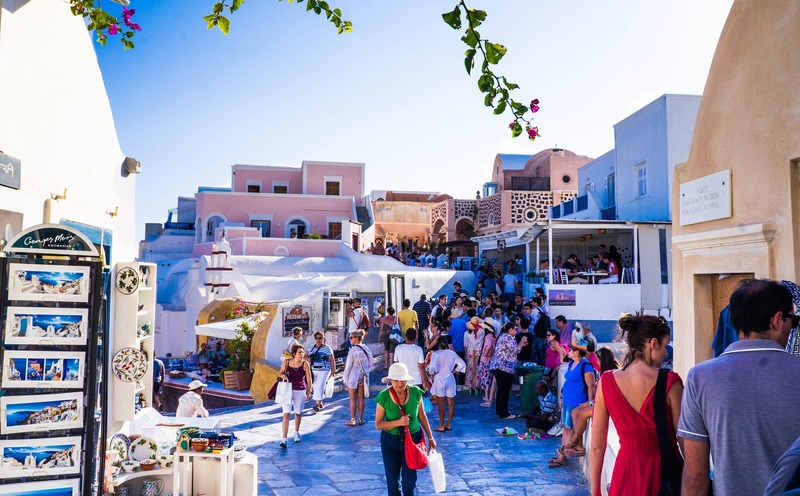 The main streets of Fira in Santorini, on the other hand, are lined with souvenir and folk art shops creating an excellent market for embroideries, knitted goods, rugs and handicrafts. Religious feasts in Cyclades offer to visitors the best chance to witness the spirit of Greek Christianity. The most joyous religious occasion for Greeks is the night of the Resurrection and the following Easter day. Hundreds of bell towers in the islandsu churches sound simultaneously, while the islanders together with their guests celebrate with pyrotechnics. Traditional feasts follow, where roast lamb, tasty “magiritsa” soup, local wine and island music and dancing are the order of the day. On the 15th of August, when is held the feast of the Assumption of Virgin Mary (Panaghia), you canut miss the pilgrimage of thousands of pious Greek orthodox Christians to the island of Tinos, whose great church of Evangelistria is said to hold a miraculous icon. But this day is a glorious occasion for all Cycladic islands whose most impressive churches are dedicated to the mother of Christ. Particular celebrations take place in Paros, where this occasion coincides with the local wine festival. On a different tone, every September the International Music Festival is held in Santorini, featuring well-known orchestras, conductors and performers of Classical music. Innumerable bars, restaurants and discotheques in Cyclades open their doors to a cosmopolitan lifestyle leaving in the shade all other regions in Greece. 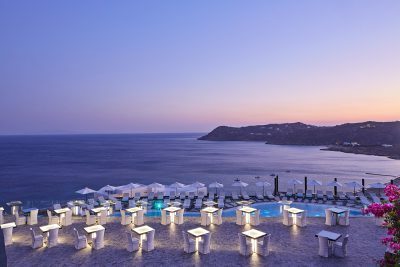 Mykonos and Santorini are the busiest islands with all the amenities of modern resorts and with plenty to do – by day or night – for those who want to have a lively time. Visitors fond of more peaceful holidays will still find quiet corners in which to relax. 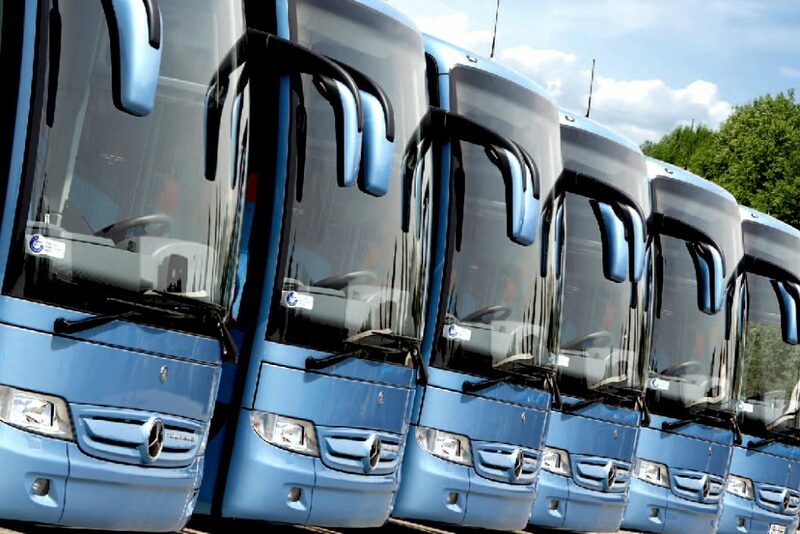 The conference infrastructure of the islands and their perfectly preserved cultural heritage classify them as the ideal destinations for events of any magnitude, while famous establishments give organizers an unbeatable comparative advantage on a European and world-wide scale.